The children have all settled quickly into their new classes and enjoyed getting to know their new teachers and classmates. All the classes have spent the first few days discussing and agreeing on rules for their classroom and had the chance to decide on their marble rewards. In Year 1, the children had fun making some 'Helping Hands' by painting patterns onto a cut out of their own hand. They have talked about their holidays and even completed their first writing task about their holiday adventures. All the Year 1 children were keen to show off their number skills and counting to their new teachers and also worked in a group to make patterns with cubes. The Year 2 children have also had a fantastic first week. I am very impressed by their excellent listening skills and mature attitude. They enjoyed telling everyone about their holidays and worked hard to include time conjunctions and interesting describing words when writing their recounts. 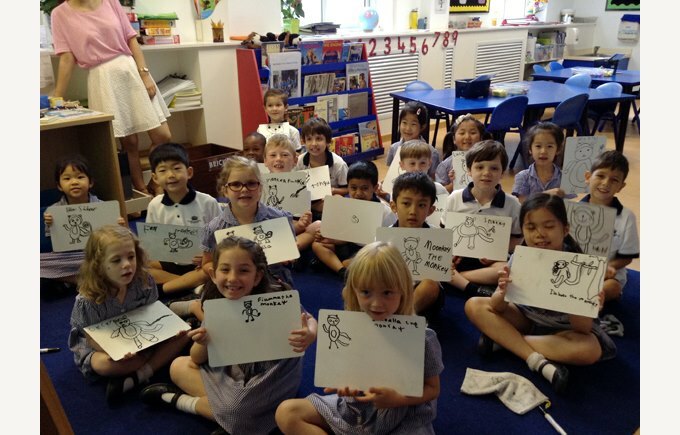 The Year 2 classes heard the story of Elmer the elephant and then designed their own elephants to decorate their writing books. 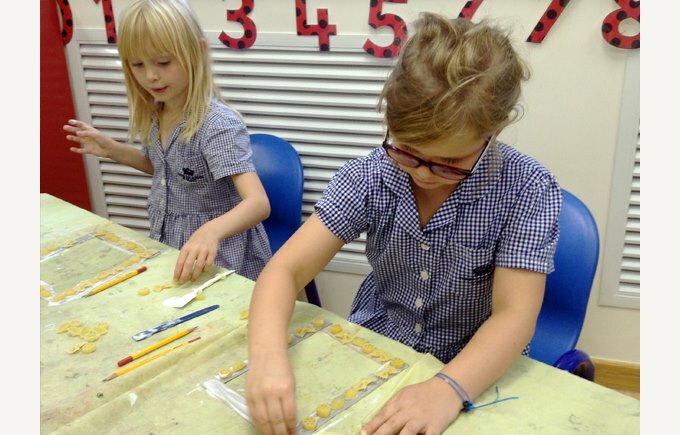 Other activities this week have included making pasta frames for their self-portraits and demonstrating their maths skills by completing the numbers on a 100 square. What excellent mathematicians we have in Year 2!